Please type your desired tags, e.g. Theoretical, Physical or Analytical, Immunology, Mathematical Science, Public Policy, Hyperpolarized MRI, Design & Technology, Computer Science, Single Cell Genomics, Ethics, Consulting, Information Systems, wind energy, water power, Dietetics, Appalachian Literature, and etc. Members of the rhizobia are distinguished for their ability to establish a nitrogen-fixing symbiosis with leguminous plants. While many details of this relationship remain a mystery, much effort has gone into elucidating the mechanisms governing bacterium-host recognition and the events leading to symbiosis. Several signal molecules, including plant-produced flavonoids and bacterially produced nodulation factors and exopolysaccharides, are known to function in the molecular conversation between the host and the symbiont. Work by several laboratories has shown that an additional mode of regulation, quorum sensing, intercedes in the signal exchange process and perhaps plays a major role in preparing and coordinating the nitrogen-fixing rhizobia during the establishment of the symbiosis. Rhizobium leguminosarum, for example, carries a multitiered quorum-sensing system that represents one of the most complex regulatory networks identified for this form of gene regulation. This review focuses on the recent stream of information regarding quorum sensing in the nitrogen-fixing rhizobia. Seminal work on the quorum-sensing systems of R. leguminosarum bv. viciae, R. etli, Rhizobium sp. strain NGR234, Sinorhizobium meliloti, and Bradyrhizobium japonicum is presented and discussed. The latest work shows that quorum sensing can be linked to various symbiotic phenomena including nodulation efficiency, symbiosome development, exopolysaccharide production, and nitrogen fixation, all of which are important for the establishment of a successful symbiosis. Many questions remain to be answered, but the knowledge obtained so far provides a firm foundation for future studies on the role of quorum-sensing mediated gene regulation in host-bacterium interactions. 2018–2018	Long-Range RNA/RNA Interactions Affect IS10 Transposase Expression. Annual Meeting of the American Society for Microbiology, Anaheim, CA. May 1990. Rhizobium/Alfalfa Symbiosis. Massachusetts Institute of Technology, Cambridge, MA, September 1994. Role of Exopolysaccharides in the Rhizobium/Alfalfa Symbiosis. University of Pittsburgh, Pittsburgh, PA, January 1996. Juan E. González Analysis of the Signaling Interactions Necessary for the Alfalfa Nodule Invasion by Rhizobium meliloti. University of California, Berkeley, CA, February 1996. Genetic and Biochemical Analysis of Rhizobium Exopolysaccharides and Their Role in Alfalfa Nodule Invasion. Michigan State University, East Lansing, MI, March 1996. Rhizobium/Alfalfa Symbiosis. University of Texas at Dallas, Dallas, TX, April 1996. Analysis of the Signaling Interactions Necessary for the Alfalfa Nodule Invasion by Rhizobium meliloti. University of Louisville, Louisville, KY, May 1996. Genetic and Biochemical Analysis of Rhizobium Exopolysaccharides and their Role in Alfalfa Nodule Invasion. Microbial Polysaccharides of Medical, Agricultural and Industrial Importance. FASEB Research Conference, Copper Mountain, Colorado, June 1997. Rhizobium Exopolysaccharides. XVI Microbiology Congress, Granada, Spain, September 1999. Cell-Cell Signaling in Rhizobium meliloti. Louisiana State University Medical Center, Shreveport, Louisiana, March 2000. Commonalities Between the Symbiotic State of the Rhizobia and the Pathogenic State of the Brucellae in Mammalian Cells. Joint lecture with R. Martin Roop, LSUMC. Louisiana State University Medical Center, Shreveport, Louisiana, March 2000. Rhizobium exopolysaccharides. Microbial Polysaccharides of Medical, Agricultural and Industrial Importance. FASEB Research Conference, Copper Mountain, Colorado, August 2000. Molecular Signaling in the Alfalfa-Sinorhizobium meliloti Symbiotic Interactions. University of Maine, September 2000. Role of Molecular Signals in the Sinorhizobium meliloti-Alfalfa Symbiosis. University of Guanajuato, Mexico, October 2001. Identification of a Putative Periplasmic Iron-Binding Gene Required for the Sinorhizobium meliloti-Alfalfa Symbiosis. Wind River Conference on Prokaryotic Biology, Estes Park, Colorado, June 2002. Characterization of Quorum Sensing in Sinorhizobium meliloti. University of North Texas, Denton, Texas, September, 2002. 40th Anniversary Salute to UTD Sciences. Topics in UTD Biology. University of Texas at Dallas, September 2002. Characterization of Quorum Sensing in Sinorhizobium meliloti. University of Puerto Rico, Mayagüez, Puerto Rico, November 2002. Quorum Sensing in Sinorhizobium meliloti. Purdue University, West Lafayette, Indiana, April 2003. Quorum Sensing in Sinorhizobium meliloti. University of Minnesota, Minneapolis, Minnesota, May 2003. Quorum Sensing in Sinorhizobium meliloti. University of North Texas, Denton, Texas September 2003. Characterization of Quorum Sensing in Sinorhizobium meliloti. University of Nevada, Las Vegas, Nevada, October 2003. Characterization of Quorum Sensing in Sinorhizobium meliloti. University of Texas at Arlington, Arlington, Texas, October 2003. Characterization of Quorum Sensing in Sinorhizobium meliloti. Texas Branch-American Society for Microbiology, Texas A&M University, College Station Texas, November 2003. Characterization of Quorum Sensing in Sinorhizobium meliloti. Northwestern University, Evanston, Illinois, November 2003. The Role of Quorum Sensing in the Sinorhizobium meliloti-Alfalfa Symbiosis. Colorado State University, Colorado, October 2004. The Role of Quorum Sensing in Plant-Bacterial. Texas Branch American Society for Microbiology, Houston, Texas, November 2004. Role of Quorum Sensing in the Symbiotic Interaction between Sinorhizobium meliloti and Alfalfa. Department of Biology, University of Guanajuato, February 2005. Control of Quorum Sensing in the Symbiotic Interaction Between Sinorhizobium meliloti and Alfalfa. 12th International Congress on Molecular Plant-Microbe Interactions, Cancun, Mexico, July 2005. Control of Quorum Sensing in the Symbiotic Interaction Between Sinorhizobium meliloti and Alfalfa. 13th International Congress of Bacteriology and Applied Microbiology (IUMS), San Francisco, California July 2005. The Role of Quorum Sensing in Plant-Bacterial Interactions. Indiana University, Bloomington, Indiana, April 2006. 2000-2001- Member of the Molecular & Cell Biology Chair Search Committee. November 2000-2002- Chair, Graduate Education Committee. 1996-present- Academic advisor for 50 of our B.S. in biology students. 1996-present- Member of the Department of Molecular and Cell Biology Graduate Education Committee. 2005-2006- Dean of the School of Natural Sciences and Mathematics Search Committee. 2005-2006- Natural Science and Engineering Laboratory (NSERL) Building Planning Committee. 2003- Associate Dean for Graduate Studies, School of Natural Sciences & Mathematics. 2003- Member, Dean of Natural Sciences & Mathematics Search Committee. 2002-present- Faculty advisor for the McDermott Scholars Program. 2002-present- Founder and Director of UTDs Natural Sciences & Mathematics Summer Internship Program. 2002-2004- Core Committee for the Support of Women and Minorities. 2001-2003- Faculty advisor for the Undergraduate Research Opportunities Program. 1997-2003- Health Professions Advisory Committee. 1999-2001- University Student Life Committee. National Science Foundation Career Award, 1998-03. 1991-95, Jane Coffin Childs Memorial Fund Postdoctoral Fellowship. 1989-90, University of California President's Dissertation Year Fellowship. 1990, Conference Travel Award (UCLA). 1988-89, Rittenberg Award for Outstanding Microbiology Graduate Research. 1988, Conference Travel Award (UCLA). RICHARDSON, Texas (July 18, 2005) – A scientist at The University of Texas at Dallas (UTD) has won federal funding of $2.1 million for studies of how bacterial cells communicate with each other – fundamental research that could lead to the development of new methods to halt the spread of deadly infectious diseases. 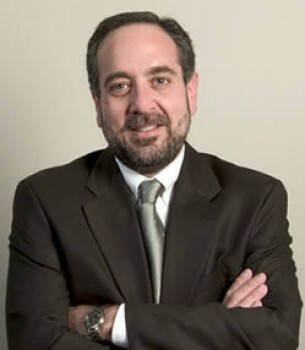 Dr. Juan E. González, associate professor in the Department of Molecular and Cell Biology at UTD, received monies from two federal agencies – a National Institutes of Health (NIH) grant in the amount of $1.5 million over five years and a National Science Foundation (NSF) award for $600,000 over three years. American Society for Microbiology, 1983-present. American Association for the Advancement of Science, 1989-present. International Society for Molecular Plant-Microbe Interactions, 1992-present. International Who's Who of Professionals, 1998. Role of Exopolysaccharides in Sinorhizobium meliloti/Alfalfa Symbiosis.